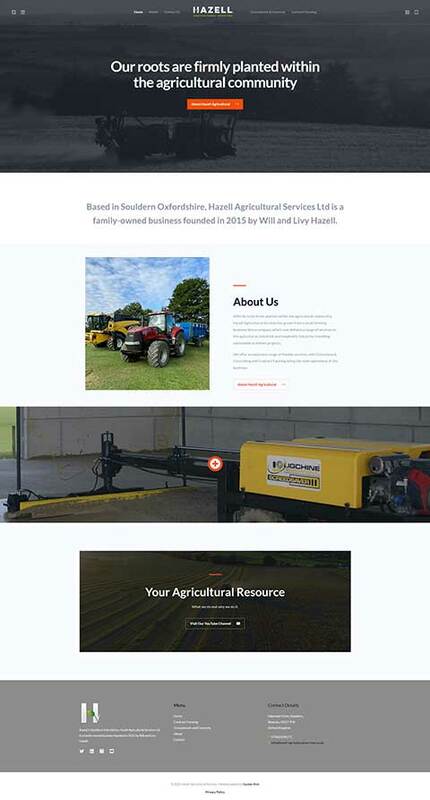 Hazell Agricultural Services Ltd are based in the Oxfordshire area in the UK. The agriculture website design is contemporary and fits their smart logo design. A truncated version of the logo sits in the background of the pages as a watermark. This small business is, justly, heavily active on social media. I included a Twitter feed on the front page and social media icons in the header.